The SMART study is an observational longitudinal study of adults who are receiving a hearing aid or cochlear implant. The primary goal of this study is to evaluate the cognitive abilities of study participants before and after treatment in addition to other measures of social and physical functioning. Recently, we have also begun to measure salivary and hair cortisol levels of study participants as a biomarker of stress. Adults who are 50 years or older and are receiving a hearing aid or cochlear implant for the first time are eligible for this study. Please contact Yoon-kyu Sung if you would like more information or you are interested in joining the study. Note: The SMART study is no longer enrolling participants as of December 31, 2013. 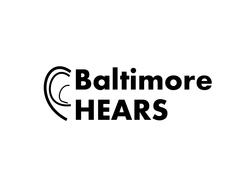 The Baltimore HEARS study is a pilot study to test the feasibility of a community-based intervention to deliver hearing health care to at-risk older adults. The tailored intervention will be delivered in a community setting and will involve the provision of hearing screening, an affordable, accessible amplification device and training on communication strategies and expectation management. Participants and their communication partner will be randomized into an immediate or 3-month delayed treatment group. All participants will receive the same intervention. Adults who are 60 years or older, have hearing loss and not currently using a hearing aid may be eligible to participate. Currently, only residents of Weinberg Senior Living communities are eligible to participate. Please contact BaltimoreHEARS@jhmi.edu for more information or if you are interested in joining the study. This research study is investigating the effects of hearing loss treatment on the primary communication partners of hearing-impaired individuals. It consists of three 25-minute surveys before and 3 and 6 months after hearing loss treatment at Johns Hopkins with a cochlear implant or hearing aid. The questionnaires are completed by primary communication partners who include: significant others, spouses, domestic partners, close family members, or other individuals who interact with the hearing-impaired individual on a daily basis. All participants will receive one $10 voucher that can be used at cafeterias and cafés at Johns Hopkins Hospital upon returning each survey. Please contact Rebecca Kamil (rkamil1@jhmi.edu) if you would like more information or you are interested in joining the study. In collaboration with Pfizer, we are currently conducting a Phase 1b randomized controlled trial of a drug that could potentially improve hearing abilities on a symptomatic basis. We are recruiting 50-70 year-old adults with age-related hearing loss for this study. Please contact Stephanie Everts if you would like more information or are interested in participating in this study.